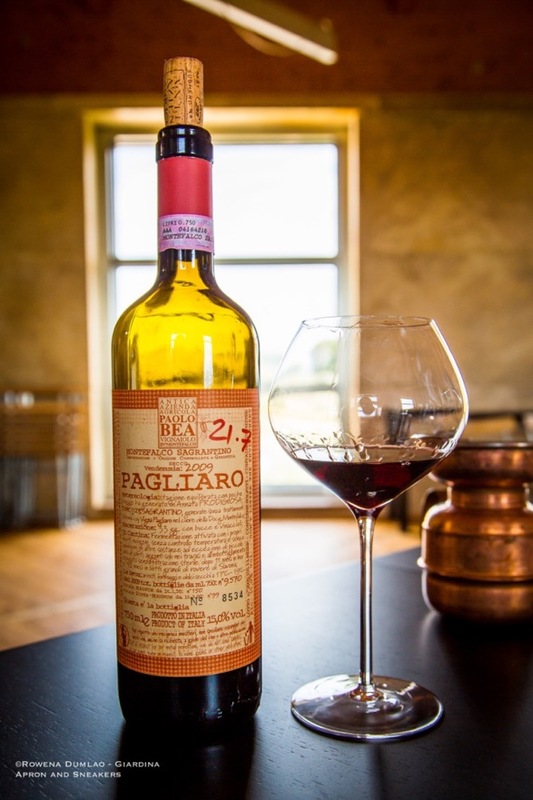 The Bea family has been farming their land in Montefalco from the 16th century where they had been raising farm animals and cultivating grapes, olives and other crops. Up to this day, they still cultivate crops for their daily needs in their 15-hectare land. Eleven hectares are allotted to the vineyards and the rest to olives, grains, fruits and vegetables with an elevation of 100 meters to 450 meters above sea level. Being in Umbria, their most cultivated grape variety in the vineyards is the Sagrantino followed by the Sangiovese and Montepulciano. The other varieties they have are white which are Trebbiano Spoletino, Chardonnay, Grechetto, Malvasia, Chardonnay, Sauvignon and Garganega. 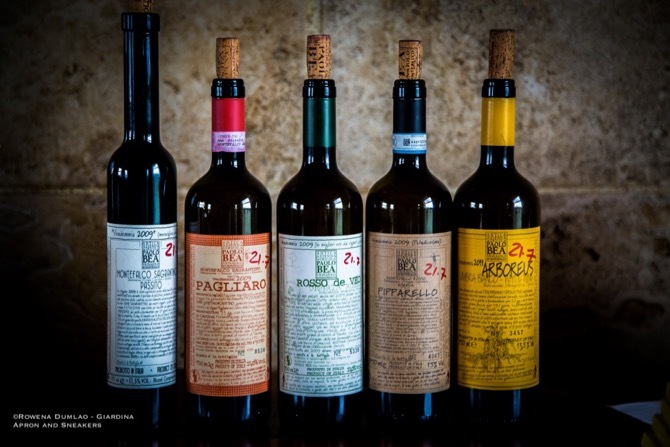 In spite of the long history in agriculture in the family, Paolo Bea only started turning towards wine production in 1980. 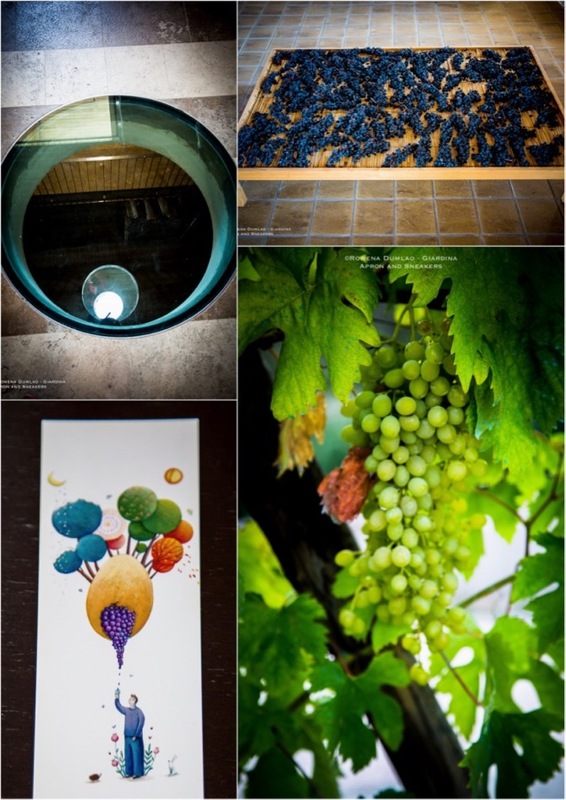 His two sons, Giuseppe and Giampiero help him in the daily activities of the winery. Giuseppe handles the agricultural aspect of the vineyards while Giampiero takes care of the administrative side as well as the production of the wines. 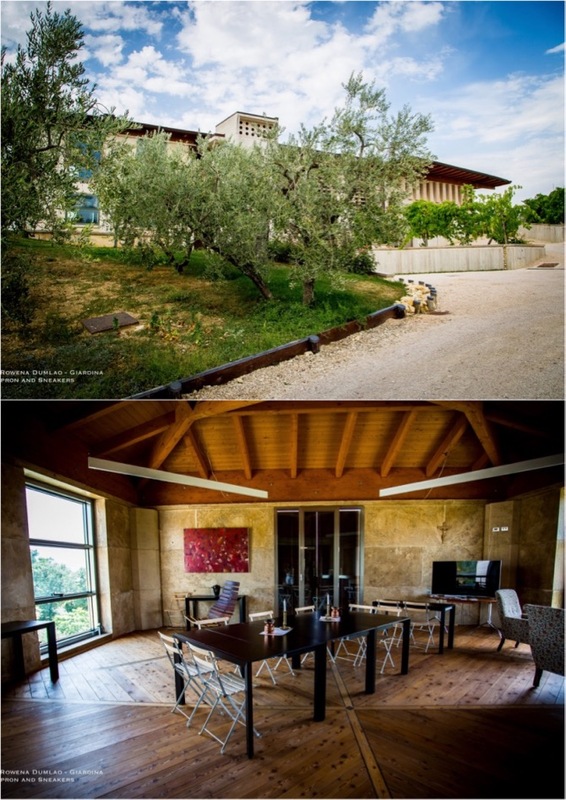 Being an architect by profession, he also built the winery himself using natural materials of stone and wood. Paolo Bea and his sons have a straightforward commitment to nature. Their method of cultivation and wine making flows naturally according to what nature provides them, not the other way around. They aim to assist nature in creating their wines instead of dominating it to maneuver the taste according to how they want them to be. 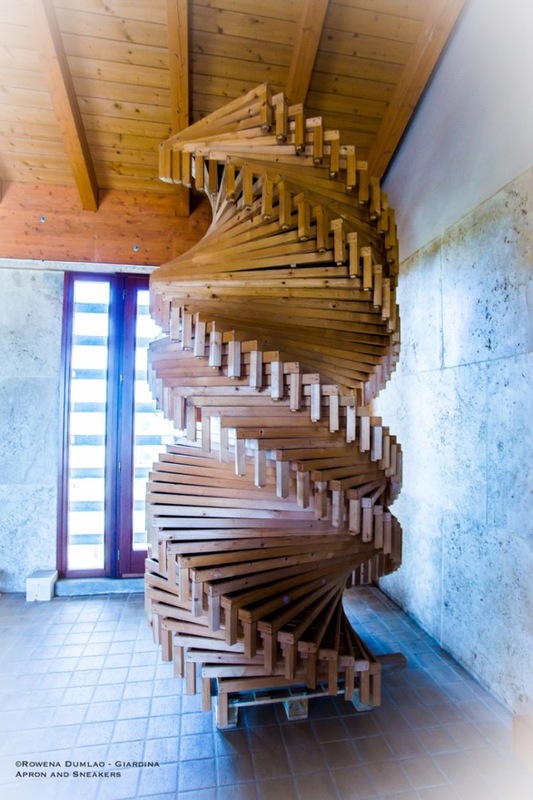 They continue to work in balancing natural methodology with modern technology. They don't utilize chemicals in the vineyards and artificial stabilizing techniques in the winery. 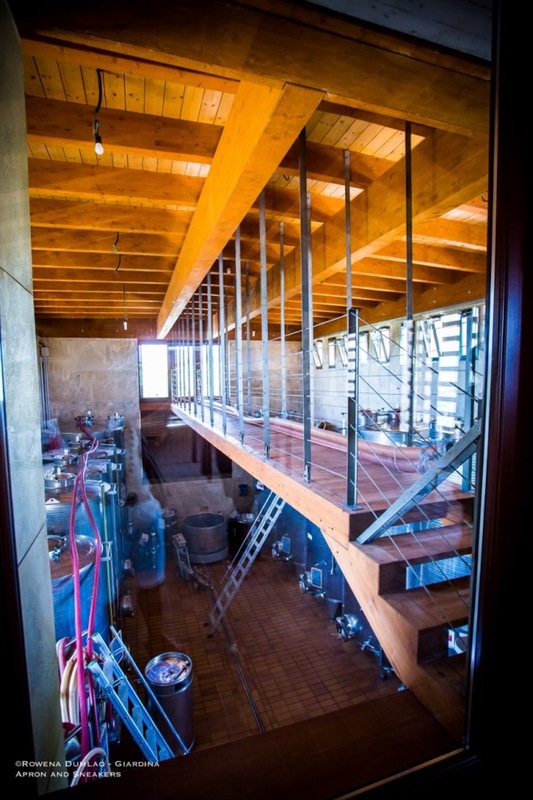 Giampiero explained that when he built the winery, he had the four beneficial environmental elements in mind in playing the main roles in carving the result of their wines. Water, wind, heat and light are extremely welcome in the whole structure. All the rooms are not temperature-controlled. 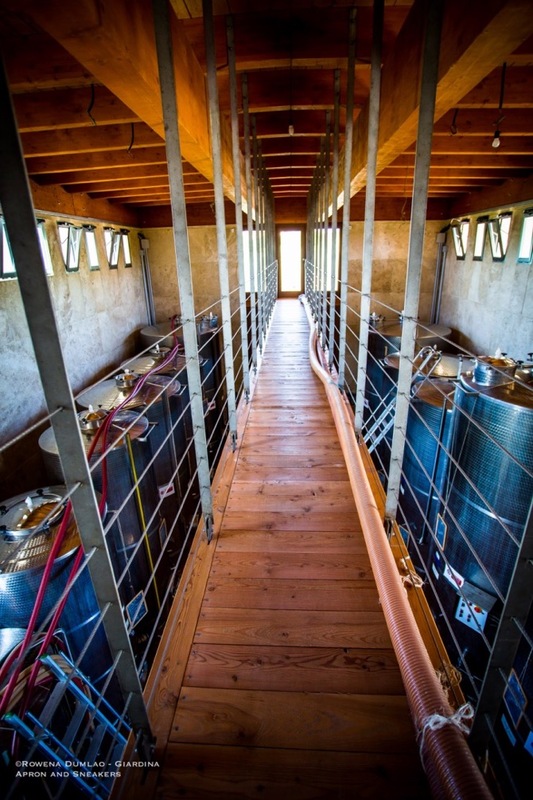 At the vinification room where the stainless steel tanks are, he uses a lot of windows and underground ventilated tubes to let the wind go in. 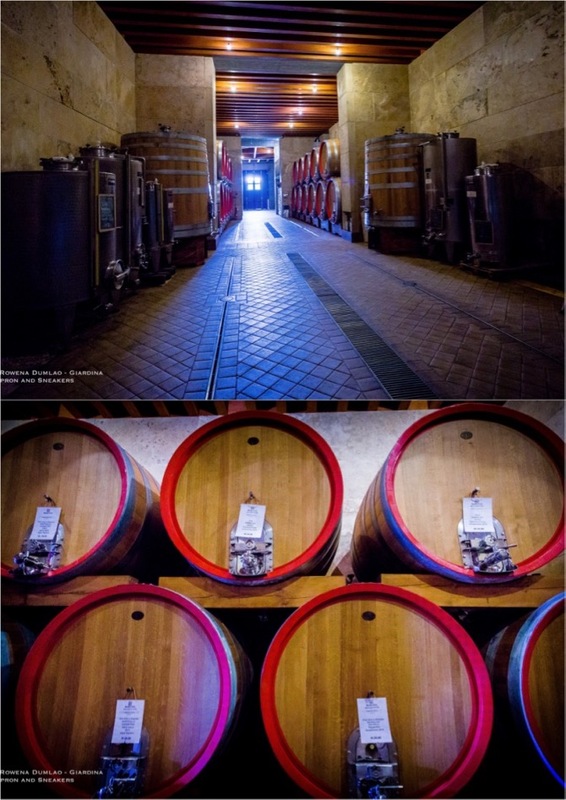 Whereas the subterranean ageing room with the large Slavonian oak casks or botti has partially open cold stone walls with running groundwater that provides the humidity in addition to the underground ventilated tubes for circulation of cold air. Paolo Bea has a production of nine natural unfiltered wines, five of which I was able to try at the wine tasting that Giampiero conducted. 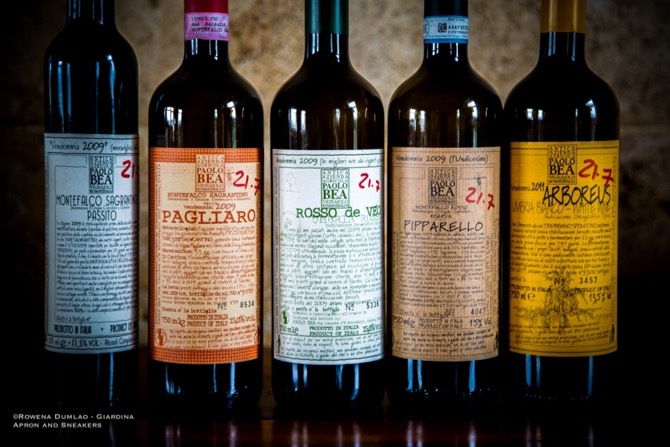 Natural wines are hard to comprehend at times because they are usually beyond the scope of the conventional wines that we are familiar with but when they are done well, they can be the most intriguing wines that we can ever have. 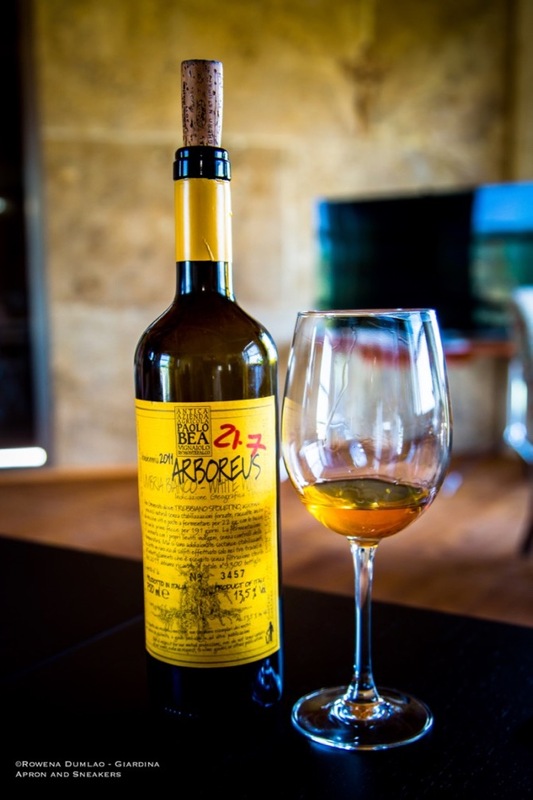 The Arboreus Umbria Bianco is made from Trebbiano Spoletino grapes that come from vines as old as 140 years old that are trellised on elm and maple trees. It's a vine training system that can trace back its history from the Etruscans. Trebbiano Spoletino is a native of Umbria, has been almost lost in cultivation but was revived again by some Umbrian wine makers like Paolo Bea. The 2009 vintage had 23 days of skin contact and 97 days on the lees so the color came out a beautiful topaz - dark gold with flavors of ripe yellow fruits, spices and a touch of honey. 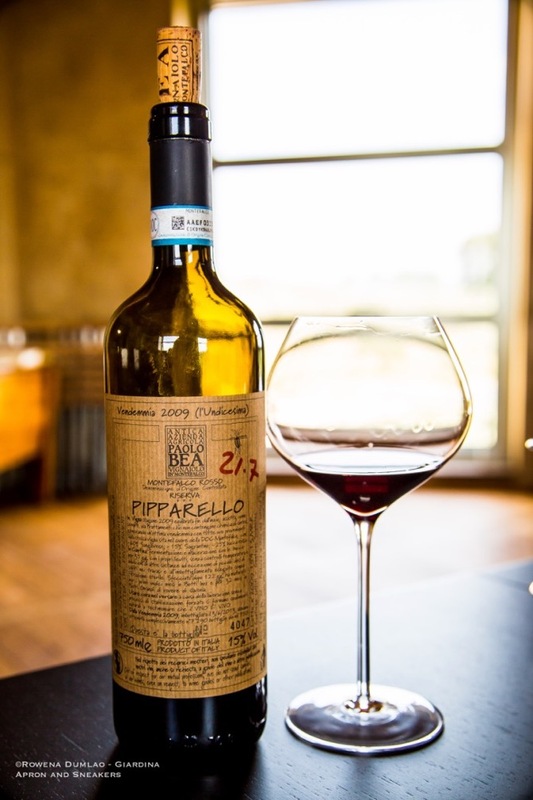 The Pipparello Montefalco Rosso DOC Riserva is a blend of 60% Sangiovese, 15% Sagrantino and 25% Montepulciano from Pipparello vineyard with an elevation of 400 meters above sea level. 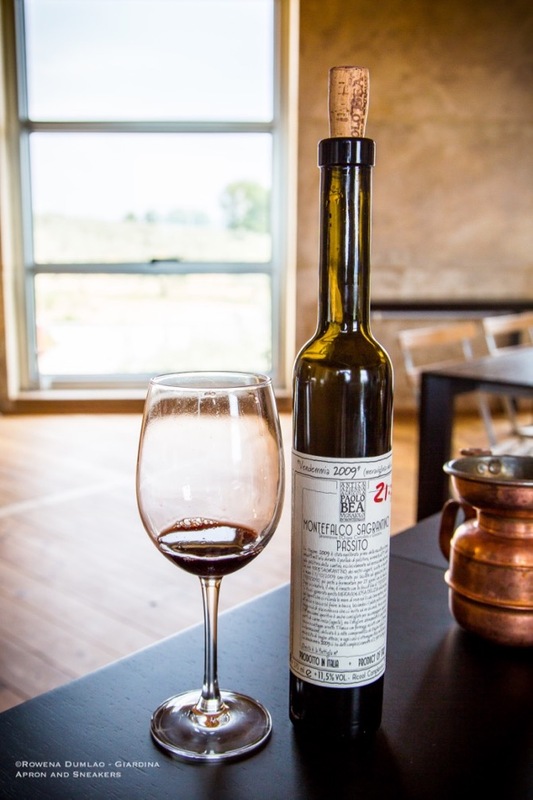 The fermentation and maceration with the skin was 35 days, racked after 122 days, primary maturation in stainless steel tanks for 11 months, aged in large Slavonian oak casks or botti for 32 months then finally, a year of bottle-ageing without filtration. It's a very absorbing wine that has a rich garnet color with complexities to the nose, ethereal nuances and ripe red fruits. It has a long minerality and freshness. 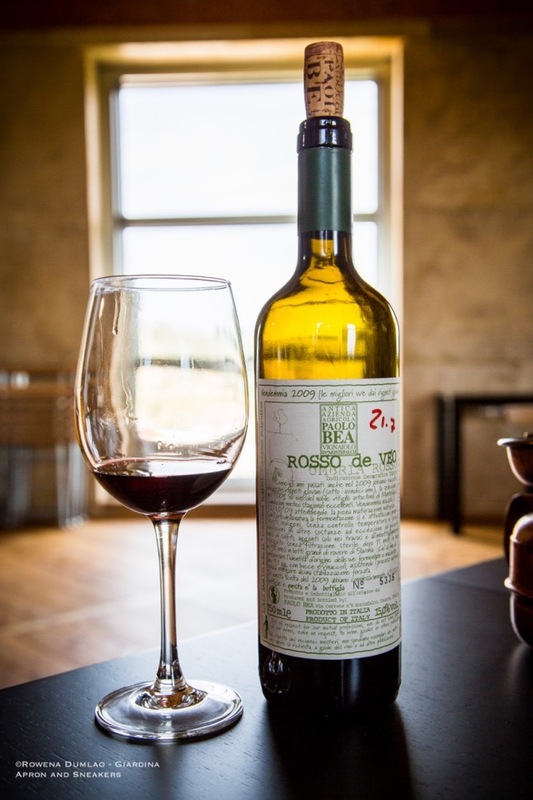 The Rosso de Veo Umbria Rosso IGT is made with 65% Sagrantino grapes from the younger vines of the estate which are under 15 years old, 25% Sangiovese and 10% Montepulciano. These vines are from the vineyards in Pagliaro, San Valentino and Cerrete with an elevation of 400 to 450 meters above sea level. Maceration with the skin and seeds for 31 days, maturation in stainless steel tanks for 11 months and ageing for 32 months in large Slavonian oak casks or botti, another year in the bottle without filtration before being released. This is a full-bodied dry red wine with a rich garnet color. Aromas of dark fruits with balsamic notes and spices. The robust flavors of cooked dark fruits, sweet spices, excellent acidity and subdued tannins. The Pagliaro Montefalco Sagrantino DOCG is made with 100% hand-picked Sagrantino grapes from the Pagliaro vineyard located at about 400 meters above sea level. This Sagrantino went through a maceration with the skin and seeds for 33 days, maturation in stainless steel tanks for 11 months, another 32 months in large Slavonian oak casks or botti and finally, 9 months of bottle-ageing without filtration before its release. Considered the star wine (and also my favorite) by a lot of Paolo Bea wine enthusiasts, its rich garnet red color and warmth yields to intriguing olfactory-taste complexities with hints of dark berries, sweet spices and licorice. Sagrantino is known for its high tannic level but this one has a pleasant moderation in tannins. Excellence is written all over it! The Montefalco Sagrantino Passito DOCG 2009 is noted as meravigliosa delizia (wonderful delight) on the label itself. 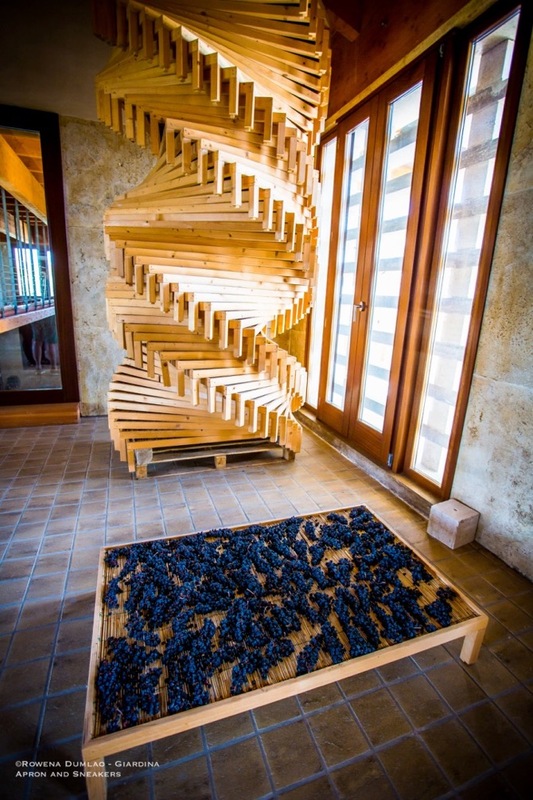 The hand-picked Sagrantino grapes then left to dry naturally on large open wooden drawers in the drying room for four and a half months, then fermented for 25 days with the skin. After its racking, the wine remained on the lees for 2 years. The result is an excellent sweet wine with intense fruity aromas of mature persimmon, blackberries and dried figs. For visits and tastings, contact the winery first.